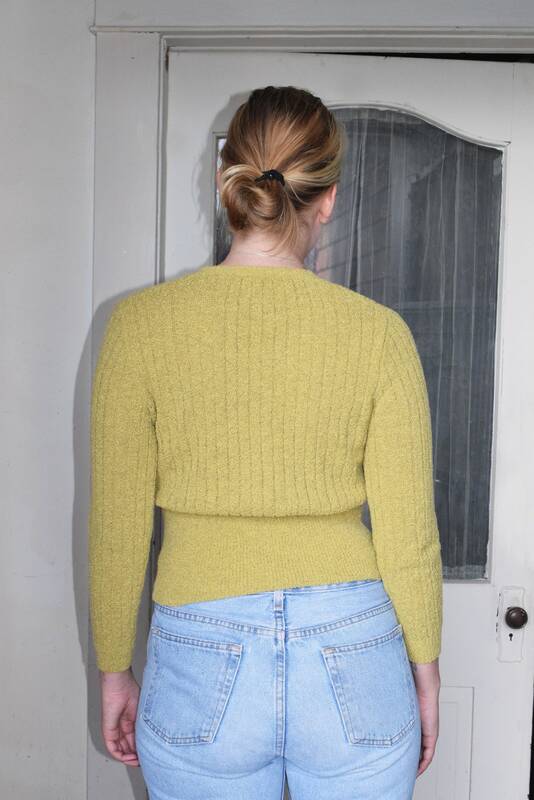 Ribbed cardigan-style top in a chartreuse green. 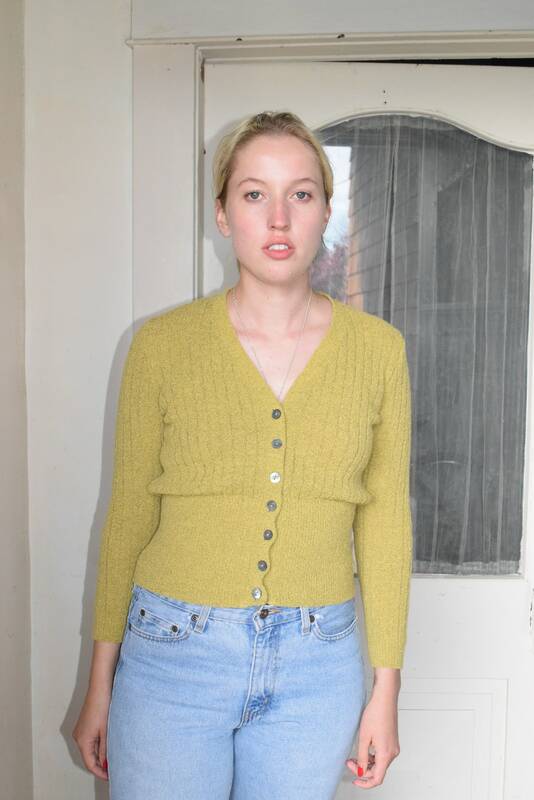 Garment has long sleeves, shell buttons up front, and a v-neck cut. Wide ribbing throughout sleeves and top turns into micro-ribbing at bottom of top. Material is medium weight and has some stretch to it. Synches slightly at waist. Size unlisted. Fits XS - L depending on desired fit - see below for full measurements. Unlisted, feels like a heavy terrycloth-like material. Shoulder width 16" || Sleeve length 20" || Bust 38" || Waist un-stretched 30" || Length from back of neck 21"